With her three-state recount effort effectively over, Green Party presidential candidate Jill Stein on Tuesday announced her plans for what’s next: to ask donors which organizations should receive the campaign’s leftover money. At latest count, Stein had raised $7.33 million for the recount in just 2.5 weeks, and from more than 161,000 donors. The campaign’s latest estimate of costs puts the total recount-related expenses at about $7.4 million -- meaning as of now, there would not necessarily be money left over. However, the campaign noted that some costs, such as compliance costs and legal fees for ongoing litigation, could be reduced from their estimates today. In addition, Stein’s campaign expects to receive some of the filing fee back from Michigan, where a recount was started but not completed. Included in that $7.4 million estimate is just under $4.5 million for state filing fees, $1.6 million for legal fees, $212,500 for staff salaries, $364,000 for consultants and $353,618 for administrative expenses. 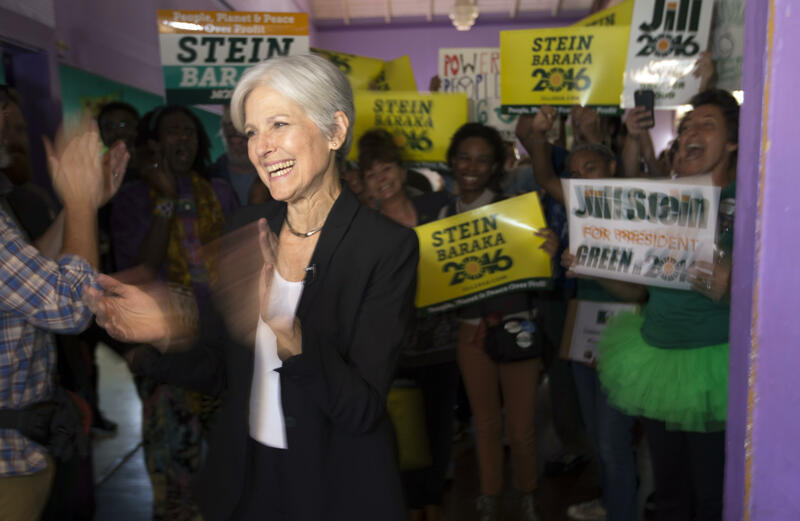 Stein’s campaign is planning to reach out to each of its 161,000 donors and ask them to vote on which “non-partisan election reform and voting rights organizations” will receive the leftover money. The campaign did not immediately release a list of possible organizations, but said it will do so “in the coming weeks” when it begins surveying donors. Under FEC law, money raised into a recount account can only be used for recount-related expenses -- and a campaign must reach out to donors to either refund their excess donations or ask them whether the funds can be used for another purpose. Based on Tuesday’s announcement, it sounds like Stein’s campaign is looking to go the route of repurposing the funds. “Throughout this whole process – from before fundraising began until now – our campaign has been fully transparent about our intention to demand recounts in Wisconsin, Pennsylvania and Michigan – and the costs associated with doing so, even as those costs have changed as a result of states’ demands,” said David Cobb, Stein’s campaign manager. Correction: An earlier version of this story misstated how much money is expected to be left over from Stein’s recount fundraising. As of current estimates, there is not expected to be money left over, though the campaign has acknowledged that could change.